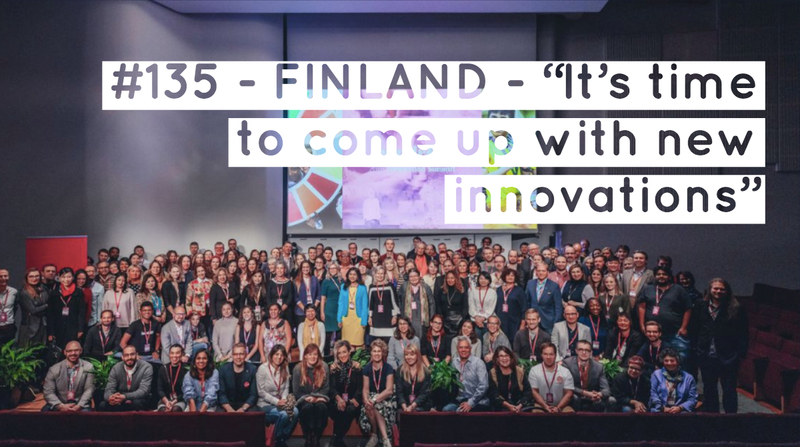 We speak to Global innovators from around the world, as recorded at HundrED Summit in Helsinki. Many of our guests have a background in user design or brand and have found success in applying their thinking to creating bold learning experiences. This episode was recorded at HundrED Summit in Helsinki. We talk about how to sustain and scale change in education. The role of autonomy, entrepreneurialism, teachers and students in change making AND why we should never forget the greats in pedagogical thinking. 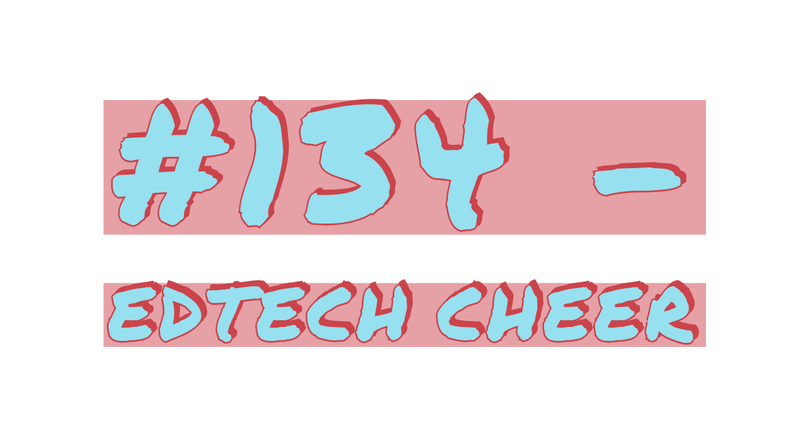 This week find out how you can win a job lot of nano seconds in a special listener giveaway, PLUS we throw back to TechCrunch, editor, Mike Butcher reviewing the Next Billion edtech prize nominees, and chat to Vikas Pota about new venture Tmrw Digital. Also, as a listener find out how you can pick up your complimentary ticket to GESF/Next Billion 2019. 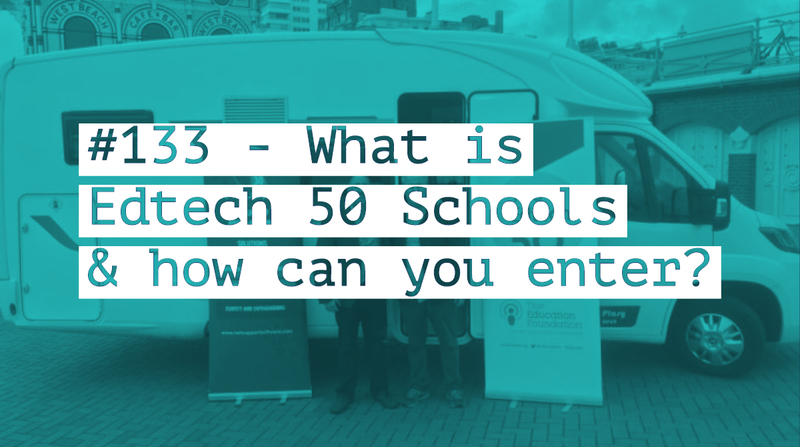 #133 – What is Edtech 50 Schools & how can you enter? 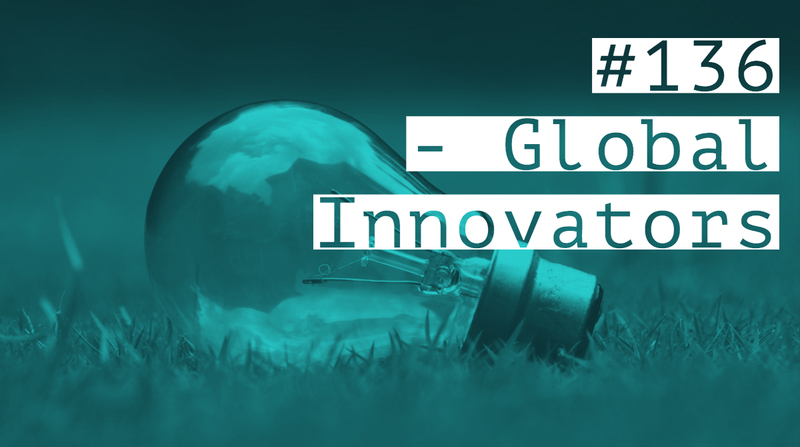 This week we explore the Edtech 50 Schools initiative and how you can enter. Don’t worry, if you’re listening to this after the deadline (End Jan 2019) you’ll still hear about great case studies of innovative and impactful schools. 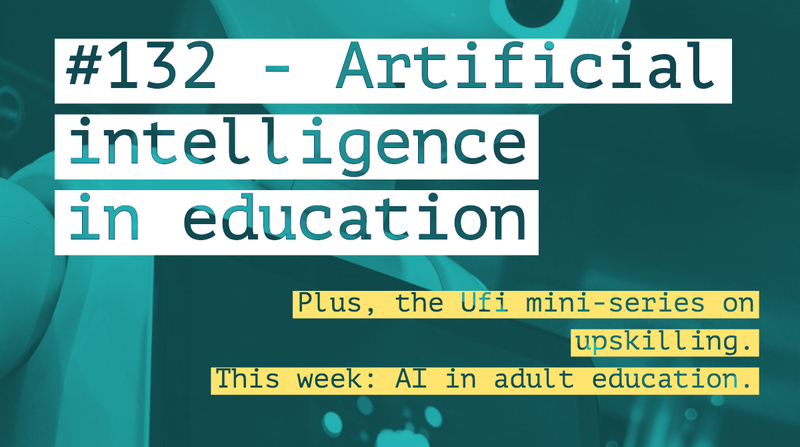 This week I’m delighted to bring the second episode of the Ufi upskilling mini-series on The Edtech Podcast. This series will take a bite-size look at technologies in work-place training which are changing the ways we learn and thrive. This week, we look at “tipping qualification and assessments on their head”. What else? 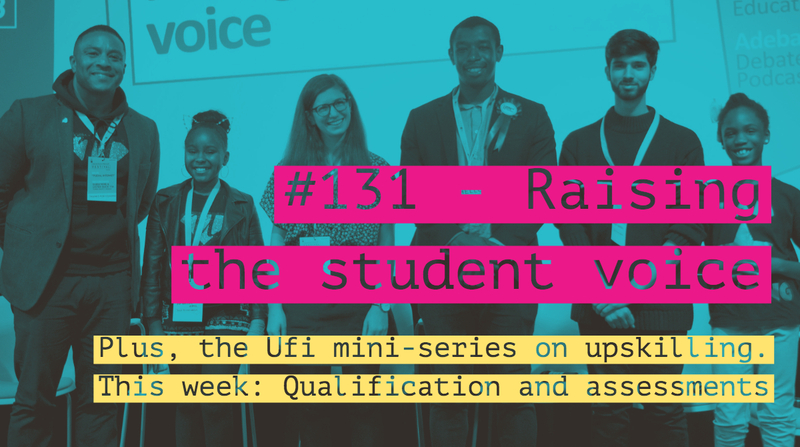 This week’s episode main feature is a LIVE podcast discussion on raising the student voice, including what we can do to bring student’s into decision making whilst improving their communication skills. 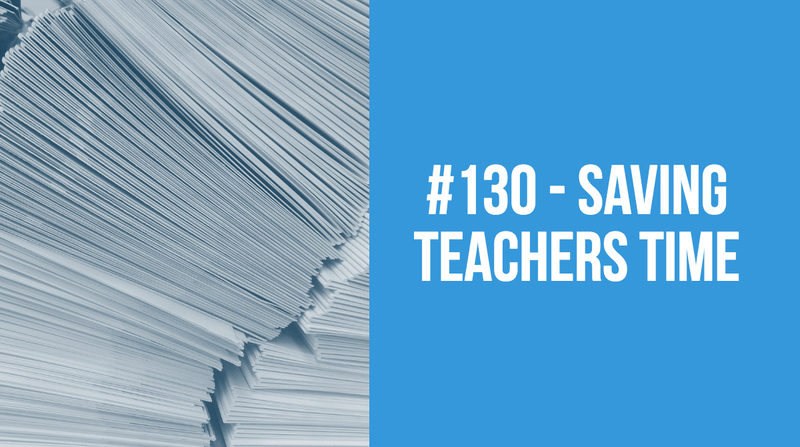 This week on the podcast we look at the critical issue of saving teachers time with Teacher Toolkit, Laura McInerney and guests. Where can tech help? And where do new tech solutions add to workload? Plus, a quick cutaway to an edtech podcast listener and throwback to past Cool Initiatives competition winners Flash Academy. 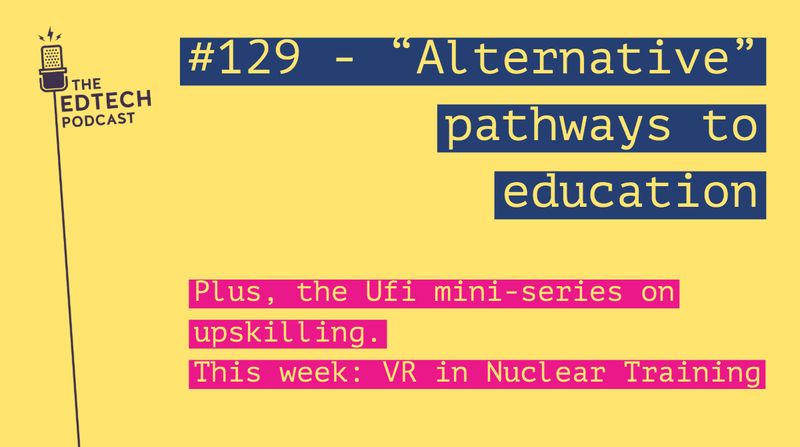 This week I’m delighted to announce the Ufi upskilling mini-series on The Edtech Podcast. This series will take a bite-size look at technologies in work-place training which are changing the ways we learn and thrive. This week, we look at how VR is assisting safe and complex training in the nuclear energy sector. What else? The main feature in this week’s episode is a fascinating discussion recorded at our podcast festival on learning opportunities outside of University. A really rich discussion with lots of opportunities for listeners to learn and benefit. 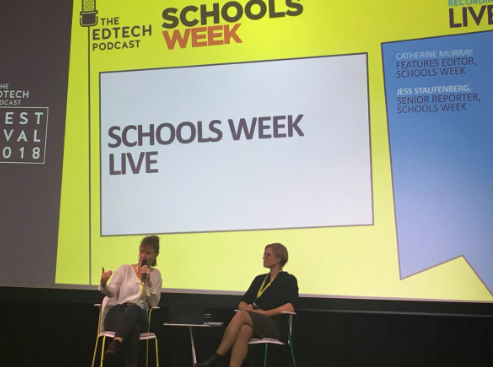 SCHOOLS WEEK LIVE recorded from our podcast festival with Catherine Murray, Digital Editor, and Jess Staufenberg, Senior Reporter, at Schools Week commenting on everything from school transparency to national computing success. A great peek into English policy and news for our international listeners, PLUS hear about how you can place computer science undergraduates from Imperial College London into your schools AND why Bob Harrison (further education and digital leader) is unimpressed with the Department for Education’s five point plan on where tech might help in education. 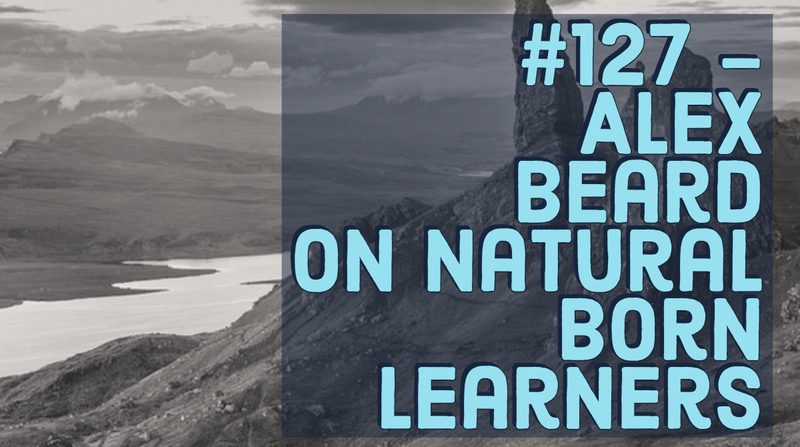 Alex Beard, former English teacher and author of the book Natural Born Learners (not Leaders Sophie!! ), is in conversation with David Booth, former-founder, product manager and early stage technology investor with a background in venture capital and law. This episode ranges from Silicon Valley, South Korea, and Singapore, to Finland, Southwark and Socrates to explore the book former edtech podcast guest Geoff Barton describes as “audacious, sassy and unafraid of the big questions” in his review for the Times Educational Supplement.